Good news, Virgo! The month opens with Mercury (Communications), your planetary ruler, in your sign until 9/16. Expect to have powers of persuasion throughout the first two weeks of September. You attract new friends, admirers and support for your ideas, suggestions and anything else you choose to speak about. The public is receptive to you and your outstanding communication skills. Take advantage of this time, Virgo. State your case to those who might have misunderstood previously where you were coming from. Your influence comes with ease. A New Moon occurs on September 15th in your 1st House, Virgo. This happens once a year for all signs and is considered a time to express your hopes and dreams for the upcoming year. Hard work is called for but as a mutable Earth sign you live in a practical world of ideas and know that the mind is a powerful thing and can accomplish the impossible. Write out a list of where you want to be in 5 years, how you can achieve that and keep it close to you so you can have the future you fantasize about come to life. 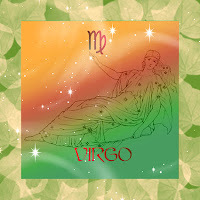 Try practicing a spiritual approach on this day such as meditation or yoga, Virgo. Also, make sure to take good care of your health, personal wellness and make efforts to exercise any stress or tensions away. Pluto (Transformation) resumes direct motion in Capricorn on 9/17 where it currently has been retrograde in your 5th House of love, fun and pleasurable pursuits. This planet has been in your 5th House since 2008, so now you might have a better idea of how this planet affects you and the way you deal with love, creativity and children. Single Virgo should attract partners who share the same worldviews as they do, while couples could find that they have innovative new ideas and desires. Sharing a common interest is vital for those Virgos in a committed relationship. Children, creative pursuits and your love life are transforming your life in small but powerful ways, Virgo. Be honest with yourself and let your partner know what you need from a relationship for ideal results. Mars (Energy/Motivation) remains in the sign of Scorpio throughout September, Virgo. Scorpio is your 3rd House of siblings, short trips and communications. Scorpio is a water sign and Virgo is an earth sign. Mars in Scorpio brings clarity to your finances and you find that men will play helpful and assisting roles where opportunities to make more money are available to you. A Full Moon forms in Aries 9/29. Mark this date on your calendar as it will bring about an exciting series of events and people into your life. This Moon brings about a certain level of comfort to you. You find yourself more in touch with romantic partners and single Virgos will take a new relationship to the next level. Couples have some important conversations that clear the air and bring about a new and improved level of understanding. September brings all Virgos, single or coupled, the opportunity to get closer, despite some minor misunderstandings along the way. Let that special someone in on your deepest thoughts for ideal results. A Cancer and a Capricorn will play roles in your life throughout September.